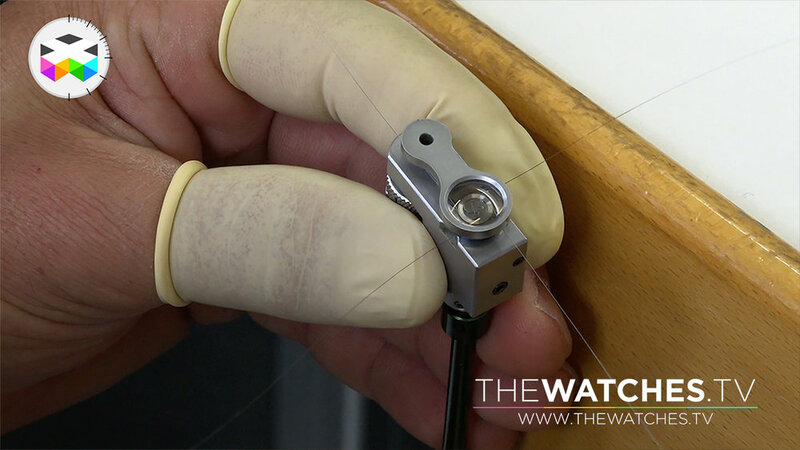 In today's video report, we’re not talking about a specific timepiece, but instead talk about one of the main strategic and well-guarded secret component of any mechanical watch: the hairspring, the pulsating heart of any mechanical watch and we are taking you somewhere where no camera has ever gone before. The hairspring or "spiral" in French is part of the regulating organ of a watch, but before going in the details of this, let me very quickly come back on how a watch works and to make it very very simple well we’ll make a car analogy. First you need energy, fuel, which is stored in a barrel, this energy is “charged” up by either manually winding the watch or on automatic watches, with the movement of the rotor, so yes it’s green fuel, good for the environment. Watchmaking is good for the environment. This energy is then released and “activates” all the gears, which ultimately gives you time. And again, to make it super simple, the more gears, the more functions; power reserve indication, chronograph function, date, big date, etc. This is the engine part of your timepiece even though it works more like the gearbox of your car. And at the end of this you will find the combination of the escapement and the regulating organ of the watch, whose combined function is to liberate smoothly the energy stored in the watch. To continue with this very simplified approach, escapement in French is called "échappement", which literally translates in English as the exhaust system. Think of your car, if you place a potato at the back of your exhaust, your car’s engine will simply stop and it will probably need some kind of fixing. Additionally, changing the type of exhaust system will also have an impact on the car’s running performance; sport car exhaust systems are very different then the one found on small sized engine sedans, they let more of those intense combustion gases created in the cylinders of your engine to come out more directly, reason why they pollute more too. In a watch it’s really the combination of both the escapement and the regulating organ that have this similar “exhaust” function. On your car, the amount of exhaust gazes coming out changes if you’re accelerating, it depends on the RPMs, but in a watch these RPMs should better be fixed if you want you watch to be accurate. This level of RPMs is called the frequency at which your watch is running which is expressed in Hertz of beats per hour. So the escapement’s role is to liberate smoothly the energy and to transform a circular movement, the gears, into an oscillating movement, the tick tac, and the regulating organ is there to determine the intervals as which this energy is liberated. Both of these mechanism are made up of many very intricate parts and the tourbillon is a fine example of how intricate a regulating organ can be. Today we will focus only on this very specific component, the hairspring, which is at the center of the regulating organ and is totally crucial in the proper regulation of your mechanical watch. And the reason we will do so is because we had the very exclusive opportunity of going in one of the rare company that produces hairsprings themselves. Bovet is a fully integrated manufacture and they have different facilities specialized in various operations located in different parts of Switzerland, but the main manufacturing facility called Dimier is found in Tramelan and in one of the corners of this building you will find the very well hidden workshop where they make these hairsprings. And this is where we met Vasco, who explained to us the full fabrication process, well he kept one or two small details for himself naturally, but we got to understand the different operations that are being carried in this atelier. So first of all, it all starts with the base material and this comes as a coil of metal thread. With one coil, you can do several thousands of hairsprings and the alloy of metals used is naturally kept well secret. This thread has an initial size of .6mm of diameter and the cross section of this thread is not circular, it’s rectangular. Depending on the type of hairspring you need, meaning depending on the inertia of the balance wheel and the oscillating frequency which has previously calculated by the watchmakers, Vasco will then reduce its thickness to sizes that can vary between 6-hundreth to 8-hundreth of a millimetre, yes we are in the micron territory, meaning smaller than an hair size. 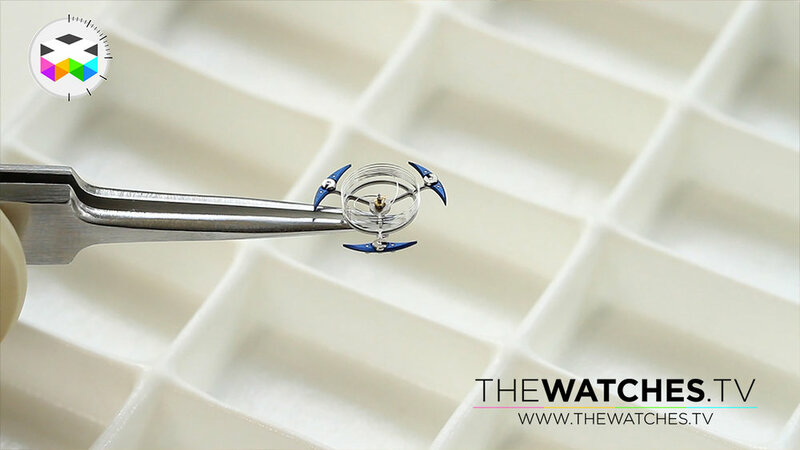 And the tiniest variation in its diameter can have a huge impact on the final chronometric accuracy of your watch. So once this operation has been achieved, the thread will then be cut in equal length and this length will also depend on the desired characteristic determined by the watchmakers. They are then generally rolled 4 by 4 with the help of a special tool and here starts part of the magic as these assembled threads are cooked in an oven at some very specific temperatures that we will unfortunately never know. Actually we couldn’t even see the oven, part of the myth I told you. This heating process will change and fix some of the proprieties of the hairsprings, because you really want these hairsprings to be as less vulnerable as possible to outside parameters such as heat or magnetic fields. They are then disassembled one by one and you now see something that we are more used to with this snail shaped spring. 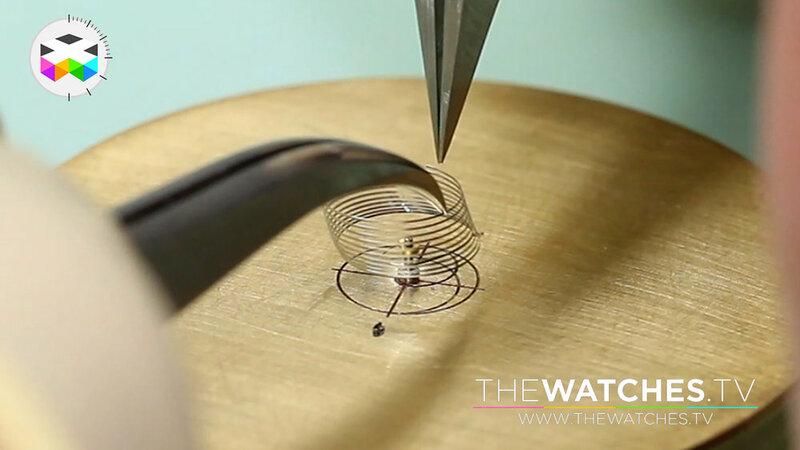 It’s now that another crucial operation takes place where they will slightly curb the outside end part of the hairspring which will then be directly linked with the balance wheel. At Bovet, they produce two types of hairsprings, you have the more classical flat hairspring, but they also produce cylindrical versions, seen for instance in the Braveheart Tourbillon timepiece. These last ones are reputably more precise, because the spring can’t “slip” around its vertical axis. The oscillation is in a certain way more harmonious, like radiating around this axis, but as you can imagine, they are more difficult to fabricate. So each hairspring then goes through what is called the classification process, where they measure the actual torque obtained by each one and they are then assembled onto the balance wheel and yet another test will occur. This final precision test will give Bovet the actual chronometric performance that you will ultimately enjoy in your watch. So as you could see, this is really a rather intense manual process and again for me it demonstrates something I really love with watchmaking. Vasco has been doing this job for many years. One could think it could become tedious and very repetitive, but these guys they do their job with the same passion day after day and I don’t know that many other industries where you will find this same level of commitment to perform your tasks with such enthusiasm. Well I hope you enjoyed this pretty privileged access to something very rare to see and I’m sure some of you would like to know more, but we pushed as much as could and it already took us quite a bit of time before we could do this.